Friends of Refugees is an independent not-for-profit organisation which has responded to the world’s worst humanitarian crisis and helps to create a positive future for people seeking asylum and refugees in Australia. Founded in early 2013, Friends of Refugees Inc. (FOR) has developed as a practical response to address the complexities and changing needs of people seeking asylum and refugees in Victoria by filling the service gaps that other funded organisations do not meet. 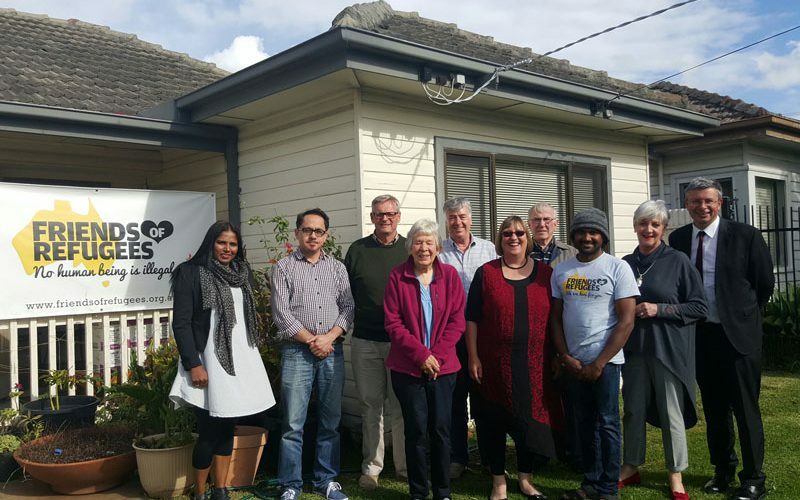 Friends of Refugees has become a central source of first-line relief for people seeking asylum in Melbourne’s south-east. The ranges of services we provide include material aid, food aid, education support, job training and resettlement programs. Our office in Dandenong operates as a drop-in centre which provides a welcoming and safe environment for people in desperate need. People seeking asylum are one of the most vulnerable and disadvantaged groups in Australia. They have no guaranteed right to income, healthcare or settlement services and survive on 89% of a NewStart allowance. FOR supports them by providing material aid and food aid, support services as well as employment and training opportunities through various Social Enterprises. All our programs are run without any government funding and at no cost to the participants, including adults and children, who are refugees and people seeking asylum. FOR supports people seeking asylum and refugees in detention, on bridging visas and in the community. We are a volunteer-run not-for-profit organisation, able to operate by the generous donations of concerned and compassionate Australians who contribute to our work.